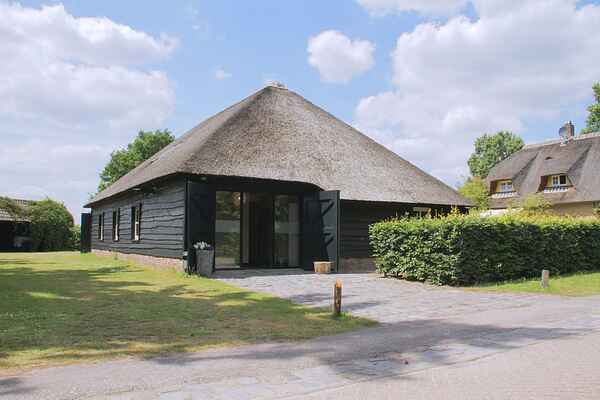 In the beautiful Brabant landscape on the edge of the forest, just outside of the village of Ulvenhout you will find this Flemish barrack which has been converted into luxurious group accommodations. You can leave everyday hectics behind you and enjoy peace, space and a grandiose fiew from the spacious sitting room. Through the use of calming earth tones and many natural materials, you will have optimal enjoyment of your accommodation. A completely equipped kitchen, a group room on the 1st floor and a great deal of nature you will spend a number of unforgettable days. "The world stops revolving in Ulvenhart"